Rick DePamphilis, PGA Master Teacher is completely dedicated to growing the game through teaching the joys of playing golf and has coached numerous golf champions, earning him the reputation as being a top tier teacher in New England and one of the most sought out instructors in golf. 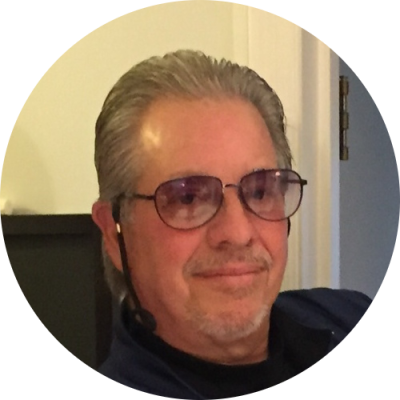 Known for his talent coaching and mentoring golfers of all abilities, Rick offers year round private and semi-private golf instruction, both indoors and out! A dedicated PGA member since 1979 and full time PGA Master Professional Instructor since 1993, Rick has a passion for taking his students of all shapes and sizes and from all walks of life to the next level using his student profile system and state of the art technology. 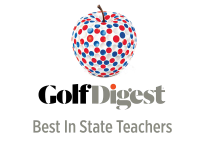 ​​​Rick's innovative teaching career has earned him the distinction of being the only NEPGA golf instructor listed as a 6-time Golf Digest Best Teacher in State. Golf Magazine Top Regional Teacher and Golf Range Magazine Top 50 Golf Instructor in America. Nothing can substitute personalized one on one instruction. Rick offers 45 minute long private sessions. Actual on course training at a local North Shore golf course matched to the students' skill level allows the golfer an added dimension to Rick's instruction on the mental side of the game. Still looking for more? Rick can build and customize a program specifically for your needs. Contact him today to discuss a plan that will fit your schedule. "After 45 minutes with Rick on the lesson tee I knew I was on my way ... Rick is a great teacher and highly skilled communicator who is knowledgeable about the golf swing and very sensitive to his students needs"
"Rick is at the very highest level of instruction and could help the highest level of player and could very easily help Tiger Woods, Jack Nicklaus or anybody you could name. People don't recognize how good rick is ... at the very top of his profession." "Kelly Robb blossomed under the tutelage of Rick DePamphilis to become the WGAM's youngest in Women's State Amateur Champion in history." "Rick is completely dedicated to growing the game through teaching the joys of playing golf and has taught and coached numerous outstanding golf champions, earning him the reputation of being one of the best teachers in New England." "Rick, the time you have spent with me on course during our playing lesson was honestly one of the most eye-opening experiences I've ever had! You've been such an incredible source of wisdom, help and support I can't even begin to express how grateful I am and can't thank you enough!" Rick is a former New England PGA Teacher of the Year based locally on Boston's north shore. 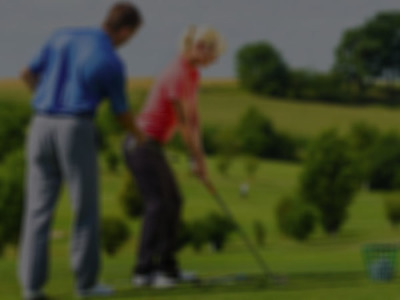 He has coached numerous New England Junior Amateur/Women's State Amateur Champions, Club Champions throughout New England, USGA/AJGA nationally ranked juniors and NCAA athletes. Several of Rick's students have set MIAA local high school and NCAA national college records for most points and lowest rounds in competitionl while others have made history by being the youngest WGAM Women's Amateur and Men's Club Champions in the history of their respective clubs and divisions. Rick's success with his students draws from a personalized, individual approach sensitive to his students' needs: Private and semiprivate lesson programs focus on identifying individual goals and objectives, each players' strengths and areas to improve while developing a game plan for success. Rick DePamphilis NexLevel Golf at Paradise includes programs designed for beginners, intermediates and advanced level golfers from all walks of life and abilities. A complete menu of private lesson series options include and number of 45 minute lessons packaged together. A customized game plan for success is developed for each student utilizing a variety of instructional tools, natural grass areas and teaching technology. A wholistic approach to students needs includes golf conditioning of the mind, physical training of the body, swing drills/exercises, sports psychology sessions, short game stroke saving secrets, equipment evaluations and more. Rick DePamphilis is a longtime PGA Master Golf Instructor Twice Honored by the NEPGA as their Teacher of the Year and Junior Golf Leader for his work with student golfers spanning a 38-year teaching career.